Many modern cannabis hybrid strains can be crosses between indicas and sativas. Those strains can express both indica and sativa qualities in one plant. Such an indica-sativa mix could for example have an uplifting high like a sativa but grow and look like an indica. Yet another strain may have an effect and taste like an indica but show sativa characteristics. By carefully selecting and blending indica and sativa genetics, we can combine the best traits of the best indica and sativa varieties into new and exciting cannabis strains. Zativo’s list of the top 10 indica-sativa strains can help you find your favourite! Dutch Passion’s Frisian Dew, a 50% indica and 50% sativa, is an exceptionally beautiful outdoor cannabis strain. The cross between a Skunk and a Purple Star shows off wonderful purple colours during growth. The strain is robust and packs a punch, which makes her easy to grow, even for less experienced growers. Just give her water and some basic nutrients and you can expect fantastic results in a short 7-8 weeks. Outdoor growers like Frisian Dew because of her natural resistance to mould. She is an ideal plant to grow in our Northern climates where summers can see a lot of rain. One other quality where Frisian Dew makes growers happy is her excellent yields. With her ideal stem to leave ratio that allows light to hit all her leaves, she will not disappoint and the grower can look forward to enormous harvests of some thick bud. The winner of the High Life Holland Cup in 2008 has a rich smoke and very powerful effect. Her high starts uplifting and cerebral like that from a sativa and smoothes out into a very relaxing and calming indica body stone. Dinafem’s Power Kush is a cross between an Afghani #1 and a Skunk #1. This makes Power Kush a very balanced yet complex hybrid that impresses with stellar yields along with a number of other great qualities. She grows quickly, with a short indoor flowering period of only 50 days. Despite her rapid growth, she doesn’t sacrifice a thing. The easy-to-grow plant will grow long, densely packed buds that will be oozing with sticky resin at harvest time. Grown outdoors, Power Kush likes it temperate, which makes her also an ideal strain to grow in a greenhouse. Indoors she sure doesn’t disappoint either. She is very well suited for SOG or ScrOG style grows where she can grow to her full potential. Power Kush’s flavour is predominantly Skunk, with the typical Kush and Skunk notes that are accentuated with refreshing citrus, wooden and spicy notes. Thanks to her Afghani and Skunk heritage, she gives a potent yet wonderfully balanced effect that starts out cerebral and energizing with a deeply relaxing body high as a finish. Sweet Seeds crossed powerful Black Domina with the ever-legendary and super potent Jack Herer. The result is an exceptional 50% indica / 50% sativa hybrid that has an amazing Hazey aroma that reminds somewhat of incense and Indian hash. Given her potent parents, it shouldn’t come as a surprise that Sweet Seeds’ Black Jack is also extremely powerful. Growers love Black Jack for her growing power and vigour that makes Black Jack especially suited for indoor grows where you can expect big yields of up-to 600g/m². Put her outdoors in ideal conditions and she will grow truly gigantic and can easily reach 300cm with yields up to 600g/plant. Smoked, she will please your taste buds with an intensive but pleasantly smooth aroma. With a THC content that can be as high as 21%, she will give a happy and euphoric high without the hangover. For their Amnesia Lemon, Barney’s Farm crossed an Amnesia Haze with a Lemon Skunk. They managed to create an outstanding strain that gives us the unmistakable Amnesia Haze flavour together with the growing advantages and the robustness of Lemon Skunk. Growers will like her incredibly short flowering time of only 9-10 weeks - very short for a Haze! The fact that she won’t grow out of control and will stay at a manageable size makes growing her attractive as well. She will grow massive colas with buds that will blend the awesome aroma of Amnesia Haze together with the equally great taste of her Lemon Skunk parent. With her more than respectable THC content of 21%, she is definitely not a lightweight. She will give a very powerful and intense effect that is cerebral and uplifting. This makes Amnesia lemon a good daytime smoke when you need a boost of energy and creativity. Her potency and great lemon taste make Amnesia Lemon a true first-class strain, no wonder she has won already countless awards! Strain Hunters’ White Strawberry Skunk is a balanced indica/sativa hybrid that is based on the “Erdbeer” (Strawberry) strain from Switzerland. Strain Hunters says that this is probably one of the tastiest and fruitiest strains ever created and who would want to doubt this? Yet, White Strawberry Skunk isn’t just a delight for the taste buds. 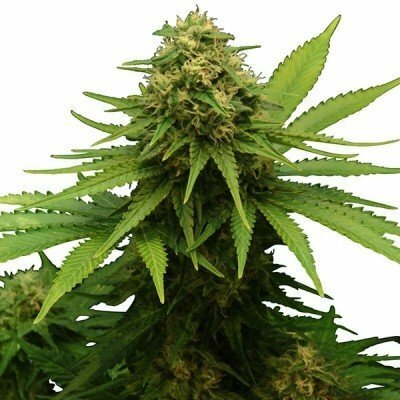 Growers like the plant for her massive yields, which at times may require that you support her because of her abundance of fat, resinous bud that she will grow in 9 weeks. Indoors she can yield as much as of 700-800g/m² and grown outdoors she may bring a staggering 1kg of bud per plant to the table. Her scent is out-of-this world fruity and tasty, reminiscent of a delectable strawberry and cream milkshake. Her smoke is equally pleasant, although it is quite complex. There is that awesome strawberry note, but it comes with other fruity notes, together with an earthy and skunky aftertaste. Her effect is great; it starts out as a relaxing body buzz but soon becomes happy, cerebral and creative. She is the ideal smoke if you want to have some fun with friends and she can be a great choice for treating stress and depression. Bomb Seeds’ Kush Bomb is a cross between a fine Southern Cali Kush and their massively yielding Big Bomb. The result is a spectacular strain that doesn’t just blow you away with incredible yields. This is truly a bomb of a smoke; Kush Bomb’s THC content can be as high as 25%! The strain is suitable for indoor and outdoor grows where she will grow massive and long branches, making her especially suited for ScrOG setups. With her high bud to leaf ratio, you can expect good yields of up to 700g/m² indoors. Outdoors, where she can grow as tall as 250cm, she will yield even more. You can harvest her late September / early October. Kush Bomb pleases with an awesome flavour of refreshing citrus notes on top of a classic Diesel taste. As you would expect from a strain with a high THC content, her effect is super potent. It starts out as an uplifting head buzz that will soon transform into a deeply relaxing stone. Her potency makes Kush Bomb an ideal medicinal strain. Greenhouse Seeds’ Lemon Skunk, a 60% Indica and 40% Sativa hybrid, is a true classic from the 90's. What sets Lemon Skunk apart, among other great qualities, is her very fast growth and her extraordinary production. Growers will love that the strain has a natural resistance to mould, mildew and botrytis, which makes her an ideal plant to grow, even for new growers. She is especially suited for ScrOG or LST grows. 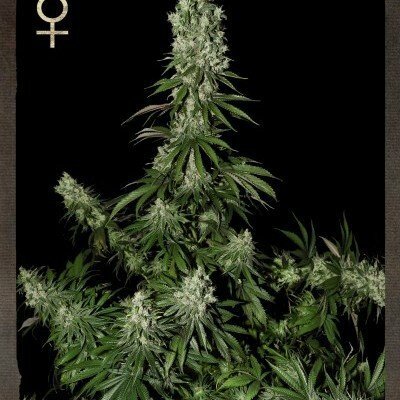 Grown indoors, her flowering time is a short 8 weeks, although you should give her an extra week, whereafter she will show you the richest and most intense flavours. In optimal conditions, you can expect a respectable 600g/m² of super resinous and sticky buds come harvest time. Outdoors, she can yield as much as 800g/m². When smoked, you will immediately note her very intense and delightful citrus aroma. She will give a powerful, yet balanced high that may start out more cerebral, but will develop into a heavenly and very deep full-body relaxation. LA Cannalope by DNA Genetics is an outstanding creation that combines the growing advantages of Cannalope with the taste of legendary LA Confidential. For growers, this means high yields, and a very short flowering period without any sacrifices. Despite her superb qualities, LA Cannalope is easy to grow and will develop into a strong, robust and hardy plant. This - and the fact she is resistant to mould and pests - makes her suitable even for less experienced growers who want to see results without the hassle. In ideal conditions, you can expect yields as high as 600g/m². She will thrive indoors as well as outdoors and is especially suited for greenhouse grows. With her extraordinary high resin production, she is an ideal plaint for hash extraction. Her intense aroma is fruity and floral with notes of sour fruit, melon and fresh flowers. She will give a very powerful cerebral, euphoric and happy sativa high that will last a long time. Serious Seeds’ Bubble Gum was originally developed by growers in Indiana, USA. At some point, the seeds reached Europe where two breeders from the Netherlands created their own varieties of this great strain. Serious Seeds’ version of Bubble Gum highlights the sativa qualities of the strain, true to the original Bubble Gum. When she grows, she will clearly show her sativa side; sturdy and strong growth, and a pleasantly sweet Bubble Gum smell emitting from her resinous buds. With such a unique and awesome taste and other fabulous qualities, it is not surprising that Bubble Gum has won many awards. In recent years, she has won several of the High Times Cannabis Cups, along with prizes in other competitions. In 2006, ‘Soft Secrets’ magazine awarded Bubble Gum the “Plant of the Year” award. However, Bubble Gum does more than delight with her sweet Bubble gum flavour. She will give a positive, uplifting and euphoric high, which makes her an ideal smoke for parties and social events where you want to have a good time with some friends. Critical by Zativo Seeds is a very popular strain that combines many great qualities. Her potency, massive yields, short flowering time and the easiness to grow her make her a favourite strain among connoisseurs and growers. Some go even so far as to call Critical the perfect strain, since she shines with so many qualities without a single drawback. Critical can be recommended to seasoned growers and new growers alike. She dependably rewards with abundant amounts of first-class bud. When you smoke her, you will immediately notice her Skunk heritage because of her intense “skunky” aroma. There is the typical Skunk dank that is nicely accentuated by fruity notes, making for a very pleasing smoking experience. Critical is a very powerful strain with an effect that is deeply relaxing and sedating. She is ideal if you want to chill, whether alone or with some good friends. Her potency makes Critical a good medicinal strain as well.